The Bureau of Educational and Cultural Affairs (ECA) of the United States Department of State fosters mutual understanding between the people of the United States and the people of other countries around the world. The current Assistant Secretary of State for Educational and Cultural Affairs is Marie Royce. 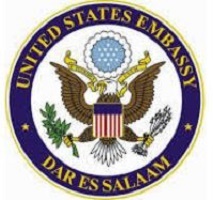 The Fulbright Program offers grants to qualified Tanzanian graduate students to study in the United States. Students and teachers are also eligible for the Fulbright Foreign Language Teaching Assistant (FLTA) Program. Tanzanian scholars may apply to conduct post-doctoral research at U.S. institutions and are eligible for the Fulbright Visiting Scholar Program. In addition, scholars are eligible for the Fulbright Scholar-in-Residence Program. Program Application Details Applications are typically accepted from October through November of each year. Visit IREX for more information. For exact application dates, please contact [email protected].org. Competition for the Community Solutions Program is merit-based and candidates will be considered without respect to race, color, religion, national origin, or gender. After the deadline, all eligible applications will be reviewed by a selection panel. The panel will then choose semifinalists to be interviewed. Semifinalists will also be required to take an English language exam or submit recent TOEFL or IELTS scores. After the interviews, finalists and alternates will be selected, pending their performance on their English language exam. Intercultural and English language skills.